Why choose Radon Diagnostic Services? Over 30 years of continuous operation, successfully remediating over 10,000 homes in Eastern MA and Southern NH. Selling or buying a home? Need a quick design and quote? We will provide a free and professional on-site evaluation. Our expert technicians hold advanced certifications in testing and mitigation. Our vast experience in addressing radon issues during real estate transactions spans several decades so don’t panic!! We can provide quick, effective and affordable solutions. Thinking of testing or remediating your own home? 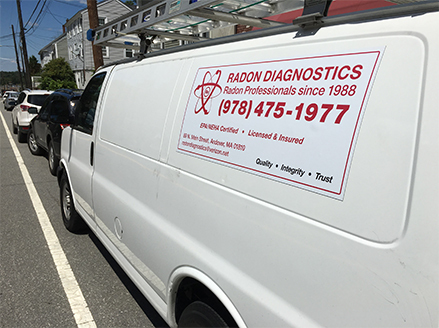 Radon Diagnostics has remediated some of the finest homes in New England. Radon Diagnostics will custom design the most effective and efficient radon remediation system with proven results, time tested quality and full warranty.